Leigh and Russell have not seen each other in years when they come to Kentucky to spend the holidays with Leigh's Grandmother Amelia. Russell's own grandmother lived next door until her death and they had been in love before Russell left for college. Leigh waited for his return but to her disappointment, he never came back. When they meet again, the attraction between them is stronger than before but many complications exist. Leigh's husband and young son were killed in a car accident in upstate New York. She blames herself for her son's death and vows never to be a mother again. She left her elementary teaching job and moved to Florida where she now sells real estate. Russell is a successful building contractor in Arizona, a divorced father of two, whose wife just remarried and will be moving overseas. She has offered custody of their girls, four and eleven, to him and he must decide now. When Russell asks Leigh to marry him, she thinks he needs a mother for his children and doesn't want the job. Will he be willing to say no to custody in order to get Leigh to say yes? Can she become Russell's wife if it means depriving him of his beloved daughters? Linda Swift’s jazzy holiday romance hits some true-sounding holiday notes. Her reflective aura at the start really brings back that reminescent feeling that so often visits us during the holidays. There is that sense of connection to the past, regrets, remembered joy; it all contributes to the aura. Leigh Wallingsford climbs aboard the plane for home in exactly that sort of mood, bringing aboard memories – and the tragedy that haunts her. Having Russell Clark intruding into her own visit home is little more than annoyance, given her history. Russell is hardly the studious boy she remembers, but rather an exasperated father with regrets of his own. He has a four year old, and one eleven-teen… and flight seems to bring out the worst in everybody. So their meeting; the magic of a Christmas time snowfall waiting for them, the sleigh ride, all seem as freeing and joyful as opening your stocking. The pace picks up with unpredictable events and some shared moments… but all will not proceed as smoothly as a sleigh ride for Russell and Leigh. Interaction with the children are some of the best moments in this thoughtful holiday charmer. Characters are wonderful – sad at times, but warm and believable. The one thing that was a bit frustrating is Swift’s tendency to fall into the use of memory to tell us the character’s past or to explain current feelings. Although memories are important to the main characters, they dwell on the past enough to take away from the overall pace and interest of the story. This doesn’t affect the overall charm or aura of the story, but becomes intrusive at some point. On the other hand Swift shows us the relationship with the children just beautifully. Overall The Twelve Days of Christmas offers an unpredictable and very Christmas-y story, and many wonderfully evocative moments. 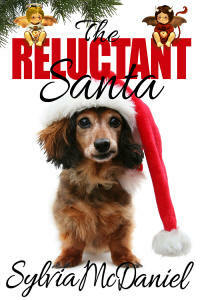 It’s exactly what you want to read at Christmas time, or whenever you want to recapture that holiday spirit.